The name +39 is the country code used to make an international phone call to Italy. It works. It definitely has a better ring to it than +61 (the country code for Australia). The idea behind the country code is that the restaurant is like a ‘direct line to Italy’. I love the idea! This restaurant is definitely a direct line to the simplicity of food produced in Italy and the high quality produce. 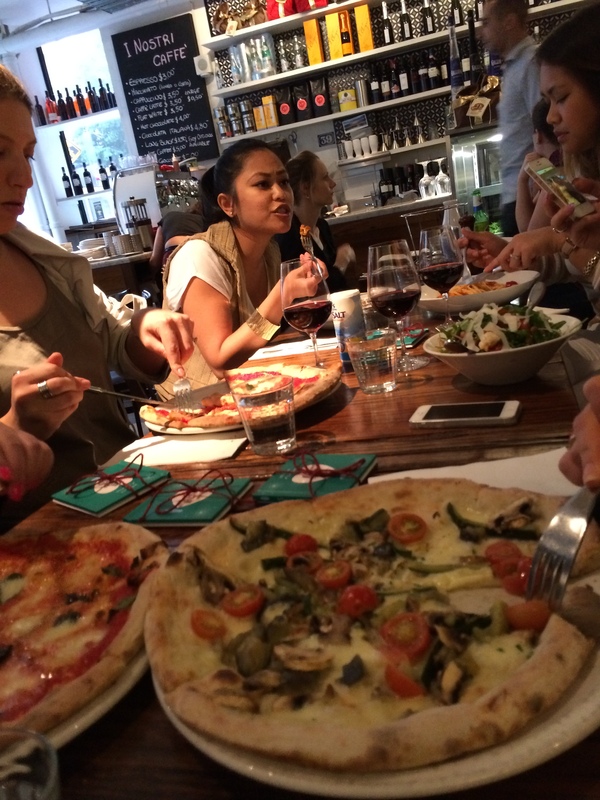 +39 Pizzeria – Friends and Food. The place has a nice open layout and a casual vibe. A good place to catch up with friends for some quality pizza.The counter looks like a delicatessen with the glass cabinet of fine cheeses and cured meats. There were about ten 5kg super-sized jars of Nutella sitting in a row on the shelf. Their blatant obsession with Nutella made me feel right at home. 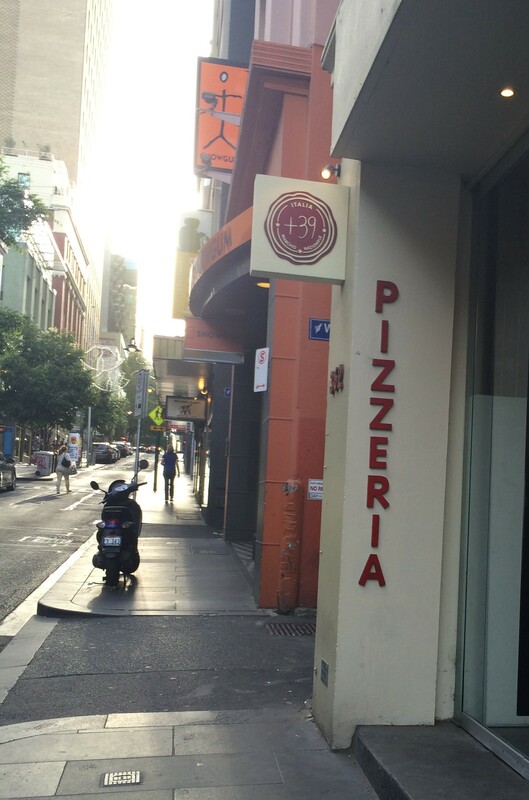 +39 Pizzeria – Front counter – Fine cheese and cured meats. Their pizza crust is thin, crispy and delicious. I got the ‘diavola’, which has Italian tomato salsa, Fior Di Latte (mozzarella), hot salame (not a typo, salame is the plural of salami, facinating I know) & black olives. Yum, it was delicious! I suggest choosing a basic pizza with not too many toppings because the base is quite thin and can be a little floppy in the middle. Unless you have mastered the art of the floppy pizza, your toppings will slide right off and you’ll be left with a naked base…and not to mention a sad face. The margarita was a hit. 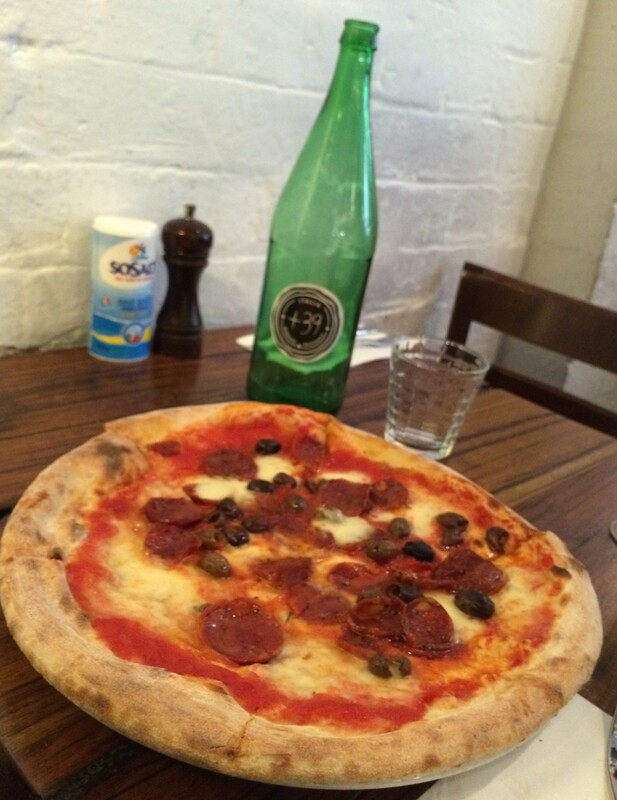 +39 Pizzeria – Diavola – Salami and black olives. My friend got the Caponata Di Pane, which was a Neapolitan style bread salad with borlotti beans, rocket, marinated eggplant, cherry tomatoes, onions & parmesan. Thinly shaved parmesan on top is always a winner. 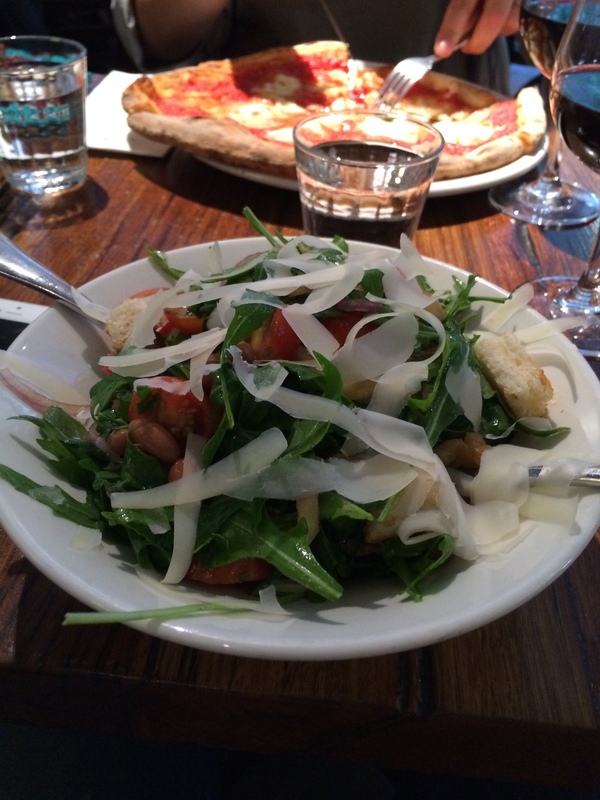 +39 Pizzeria – Caponata Di Pane – Neapolitan style bread salad. 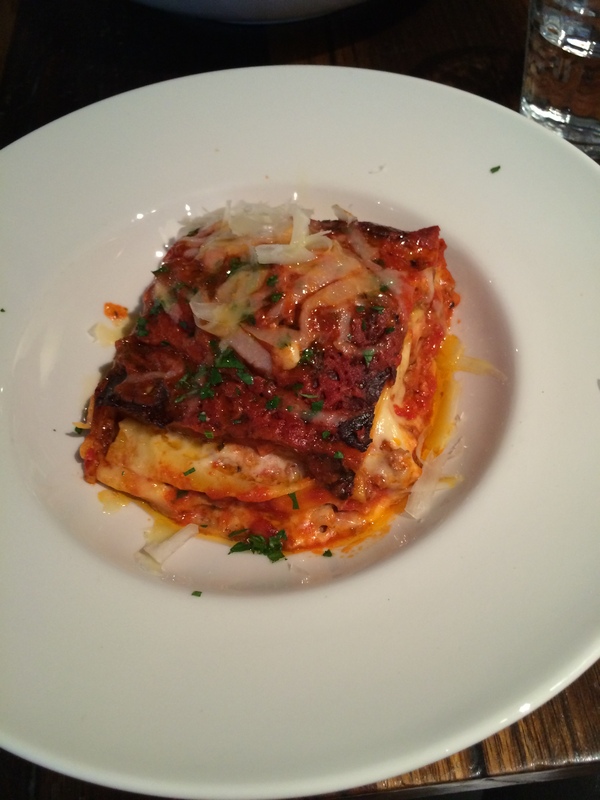 Another friend had the Lasagna – Italian style lasagne with Wagyu Bolognese, béchamel, Fior Di Latte & Parmesan. Yum! +39 Pizzeria – Lasagne Di Wagyu. Another friend had linguini with Crystal Bay prawns, cherry tomatoes, chilli, garlic & E.V.O oil. I was like O.M.G what is E.V.O.? Found out it’s Extra. Virgin. Olive. Ahhh, makes sense. 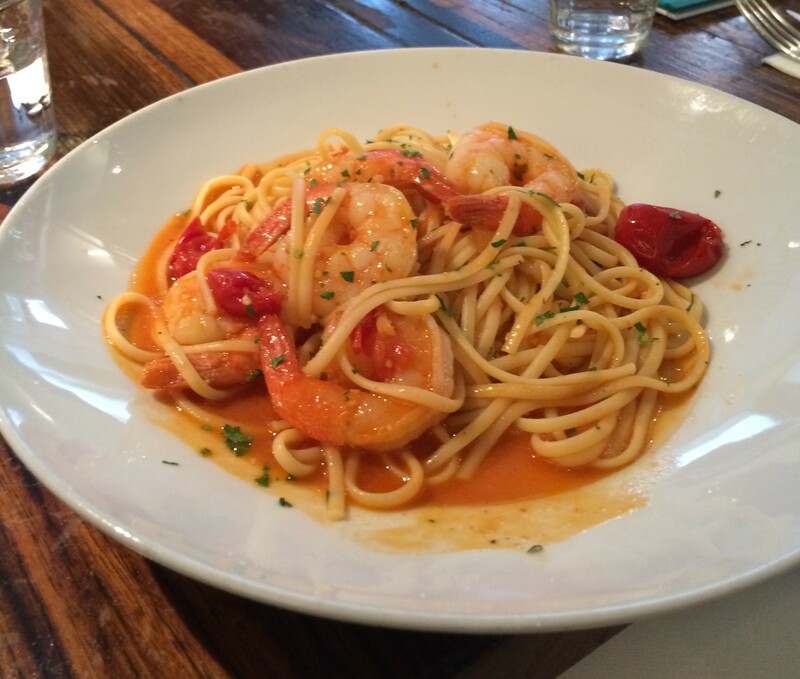 +39 Pizzeria – Prawn Linguine. 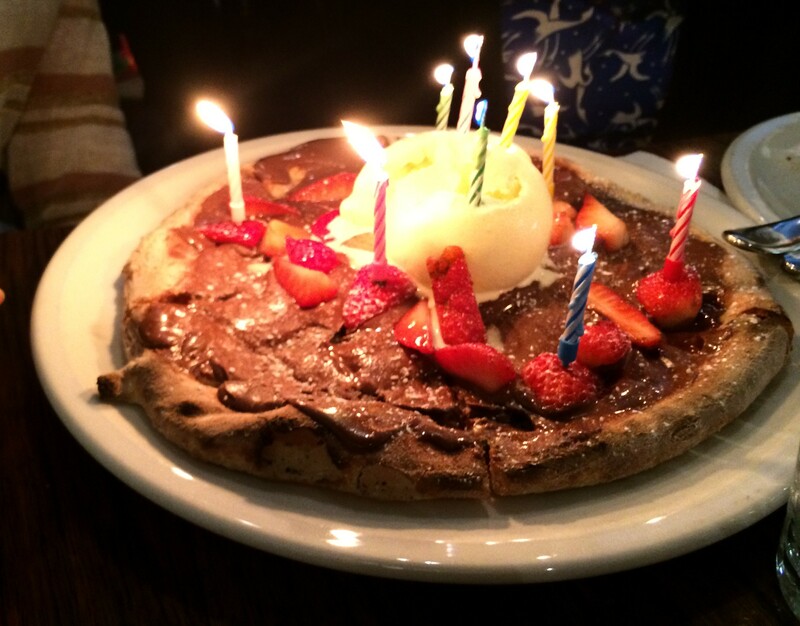 Two of my friends birthdays were that week, so we ordered a Nutella pizza to celebrate. We whacked some candles on that pizza and called it a birthday cake. When no one brings a cake, just add candles. Remember to order a dessert that the birthdayee would like and not the one you like. (It’s not your birthday!) Nutella was spread liberally over the thin dough base then topped with fresh strawberries with a scoop of vanilla bean ice-cream. The pizza was okay, but for me, the vanilla ice-cream took the cake. Pun intended. It was creamy, yummy and so vanillary that it almost tasted like lemon cheesecake or something. We ordered an extra scoop of vanilla bean ice-cream. So good! +39 Pizzeria – Nutella Pizza. 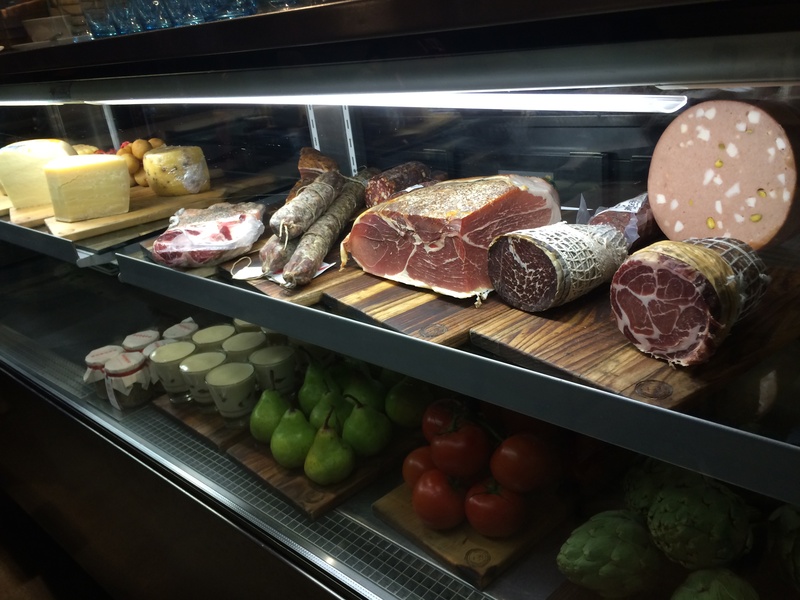 This place is all about bringing a little part of Italy closer to home so people in Melbourne can experience authentic Italian food the way they do it in Italy. 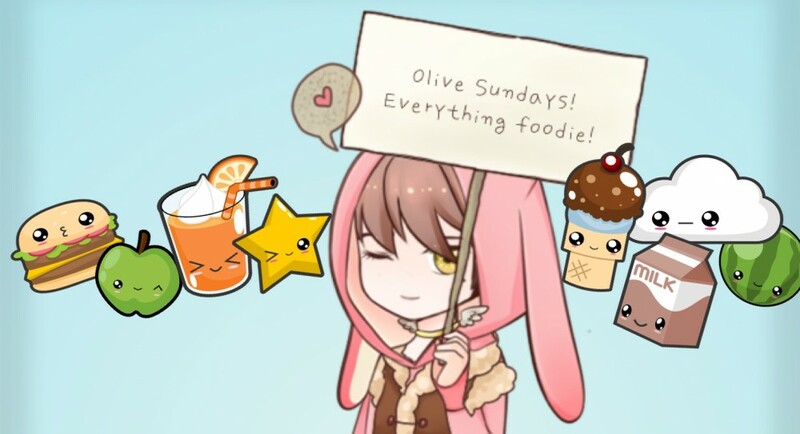 Olive Sundays is now on Facebook. Hooray! Like us on facebook or drop us a line. We had heard the legend of the ramen burger, the tale of a burger with no bun. According to the story, the bun is replaced with golden patties made entirely out of egg noodles. We had seen and eaten them only in our imaginations and we knew in our heart it was our duty, nay, our destiny, to try these ramen burgers for ourselves. Plus it was dinner time so this all worked out swimmingly. 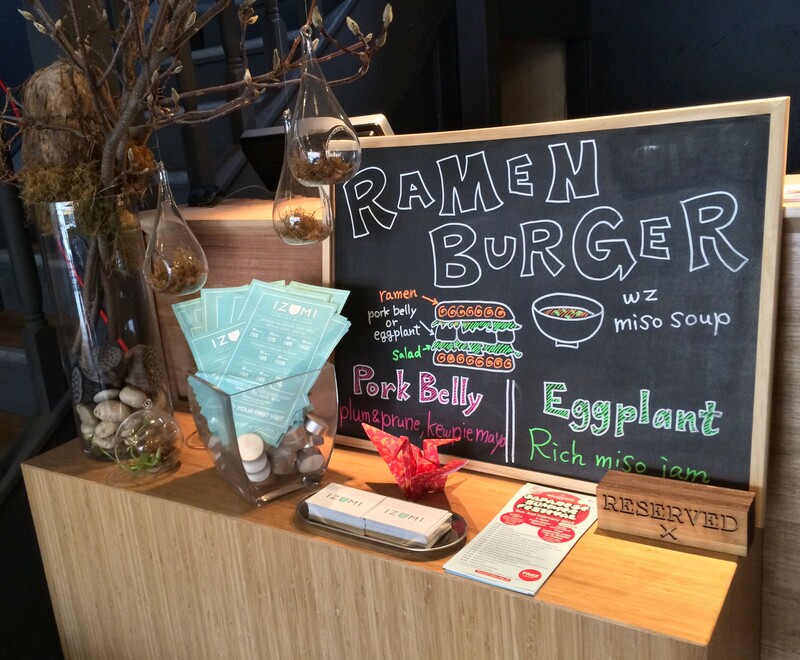 Shizuku – Ramen burger w miso soup. 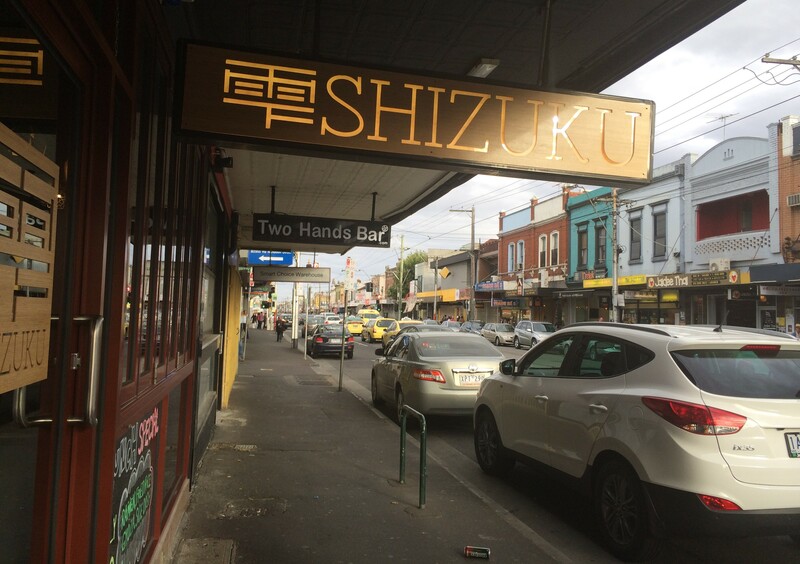 The first ramen burger in Melbourne was created at Shizuku, so that’s where we went. There were two options. Both of which are served with a bowl of miso soup (an especially delicious miso btw). I ordered the candied pork belly with plum and prune sauce and kewpie mayo which was amazing. 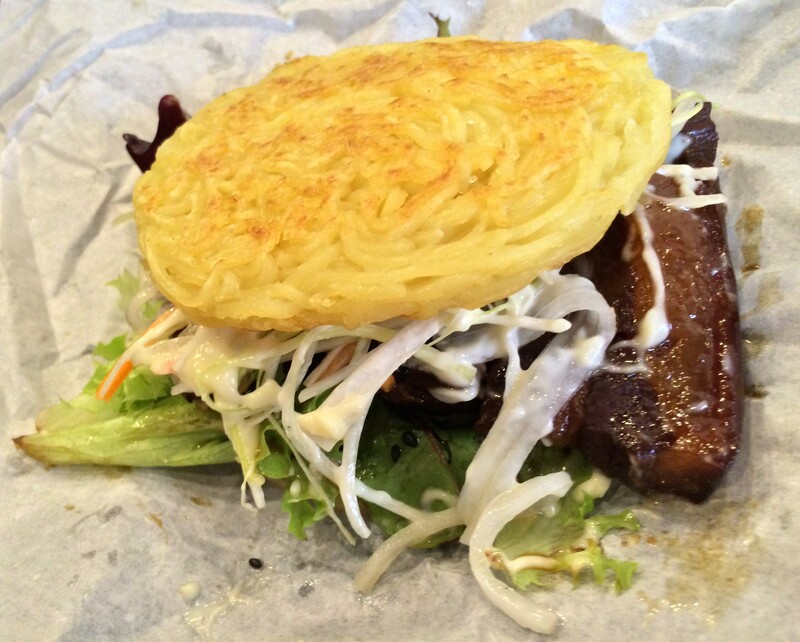 Shizuku – Ramen burger w candied pork belly. My brother ordered the veg option, the miso-glazed eggplant with sweet miso jam. Both were yum. The ramen is packed tight to form the patty so you loose the bounciness of the noodle. I imagined the outer part of the ramen patty to be crispier and softer towards the center but the whole patty was the same soft texture throughout. It was still really yummy though and its fun to eat a bowl of noodles in a hand held motion. 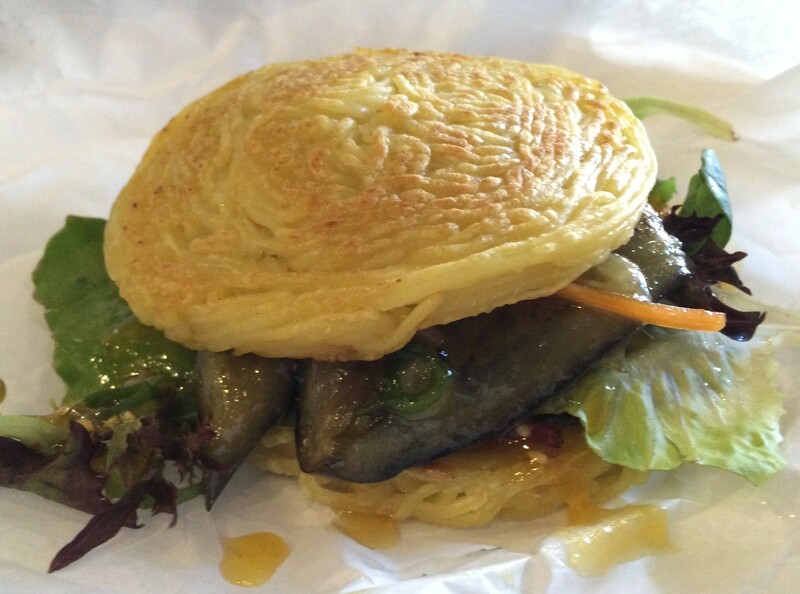 Shizuku – Ramen burger w miso glazed eggplant. 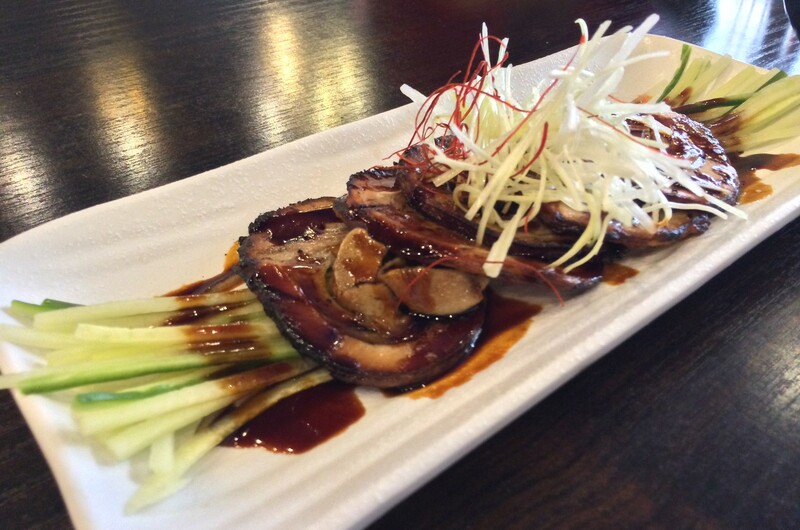 We tried the chargrilled rolled pork belly which was absolutely delicious. It looked amazing and tasted even better. The thin slices of pork and julienned cucumber made the dish delicate. It was topped with cha shu sauce (sort of like Chinese char siu) which made the dish stand out with the simple and stunning flavours. Shizuku – Chargrilled rolled pork belly w cha shu. The Hiroshima crumbed oysters were also delicious. 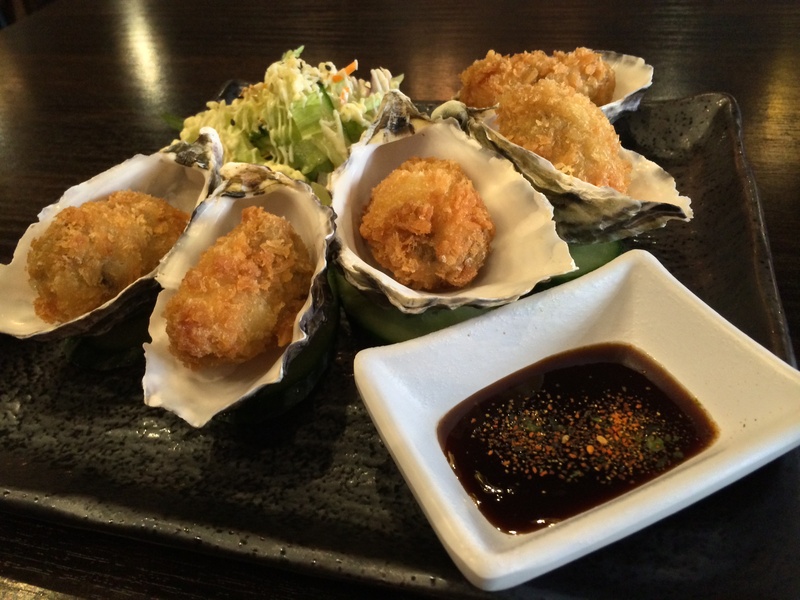 Piping hot oysters, crumbed with panko, deep-fried then placed back in their individual shells, oh so cute. They sat beside a fresh salad with kewpie mayo and a dark sweet sauce (I think it was oyster sauce –which would seem fitting). Or it could be the same sauce as in the ramen burger, the plum and prune. Either way, the point i’m making is the sauce was yummy. Shizuku – Hiroshima crumbed oysters. The wasabi prawns were incredible. So delicious! We got the wasabi mayo on the side because my mum feared that it would be too hot but it wasn’t. It was just right. 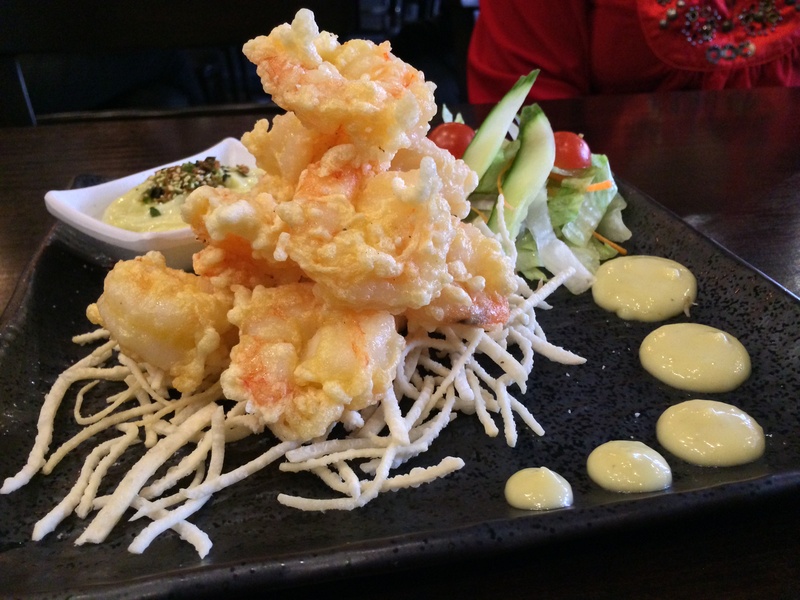 The prawns were cooked perfectly, the tempura batter was light and fluffy, and the wasabi-mayo ratio was perfection. I loved these so much. To finish our meal we had the green tea ice cream with a Japanese black sugar fusion melt (which tasted like molasses), dusted with soy bean powder. It tasted just like green tea. The black sugar melt was a little bitter but it was a refreshing finish to our meal. 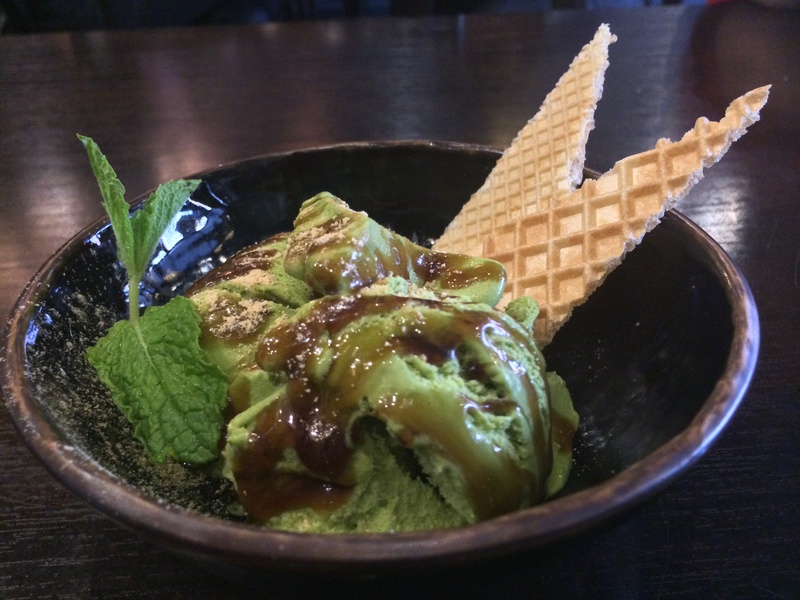 Shizuku – Green tea ice-cream. They had heaps of really interesting and imaginative dishes on the menu but we couldn’t order everything and we had already eaten to our stomachs capacity. I definitely want to go back. They had these cheesy nori snacks on the menu which was tasty cheese wrapped in seaweed, deep fried and sprinkled w seven-spice chilli. Sounds interesting huh. They also have caramalised lotus salad, karaage popcorn chicken with secret batter and a range of gyozas yum! 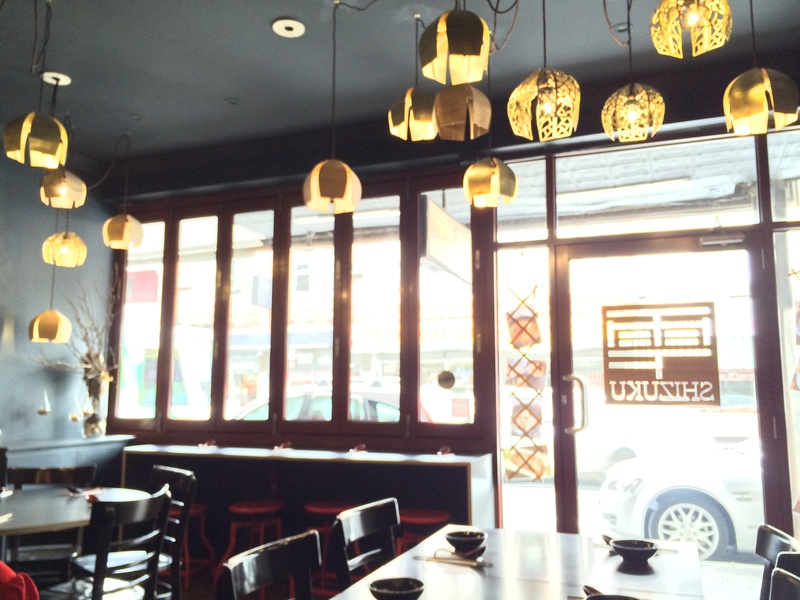 Shizuku – Decor – Pretty lights that look like beautiful flowers. The décor was simple and stylish. The lights looked like lots of cables emerging from the ceiling with these crafty designer lights hanging from the cables. They looked like beautiful flowers.